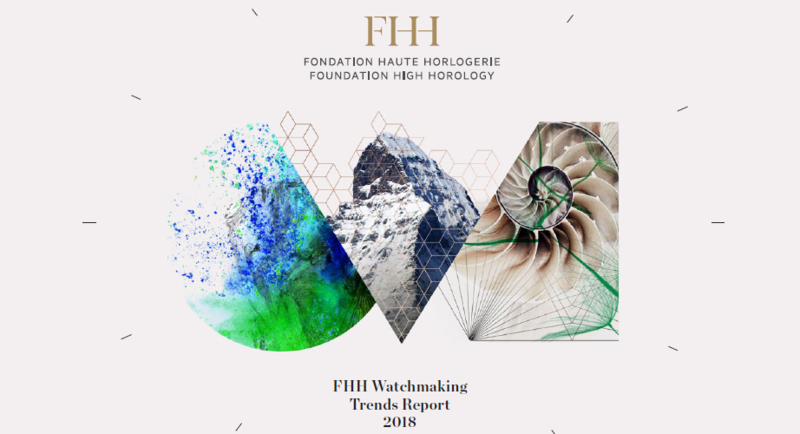 Watchmaking Trends Report 2018 by Fondation Haute Horlogerie was released recently. The report covers facts, views and opinions from Figures, External Parts, Design, Movements and Forecasts, from brand executives to watchmakers, to designers, and to influencers. From novelties unveiled in 2018 SIHH and Baselworld, products are back to the fundamentals of Fine Watchmaking: new collections with more affordable price points; simple to mid complications with practical functions; more color options and interchangeable straps for personality and individuality expressions. 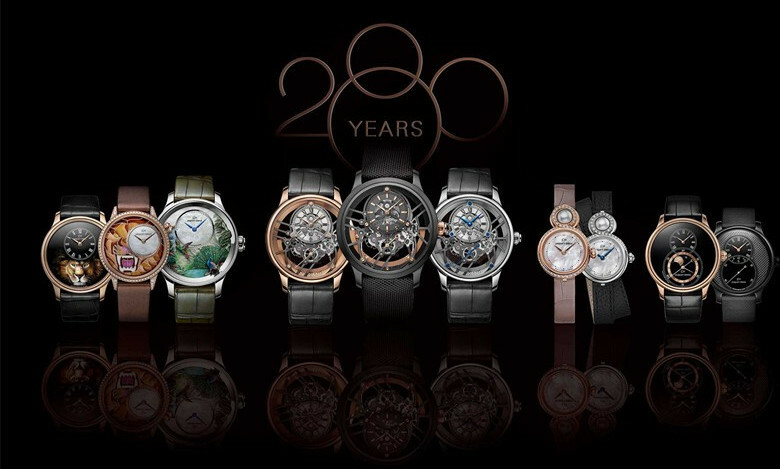 The sound negotiability and pricing of Patek Philippe and Rolex in pre-owned market is a reinforcement of the brand image and WOM, especially when most second-hand trades occur online, the price transparency is no longer a mystery, affecting consumers’ confidence in purchasing new watches, which is more crucial for luxury watches which boast a lower annual yield. On the other hand, especially in US market, people sold watches because they are in want of buying a new one, so the pre-owned market is a driving force for new sales. F.P. Journe has tested to offer official services for its pre-owned watches, while Audemars Piguet, MB&F and H. Moser & Cie will also initiate officially this year. Then, comes the news that Richemont group has reached agreement to acquire Watchfinder.co.uk Limited, a leading platform to research, buy and sell premium pre-owned watches, both online and through its seven boutiques. A more organized second-hand market can be expected. From 7 May to 9 May, ROLEX held 2018 BASELWORLD Novelties Preview in Shanghai. New Oyster Perpetual timepieces launched in BASELWORLD 2018 include new GMT-Master II, new Datejust 36, new Datejust 31 and new Rolex Deepsea were presented at the preview event. On 9 May, the all-new BVLGARI LVCEA Tubogas watch made a glittering entrance at the BVLGARI Hotel Beijing. Mr. Jean-Christophe Babin, CEO of BVLGARI Group, and famous Chinese actresses Ms. Yan Tang, Ms. Tian’ai Zhang, Ms. Yixin Tang and Ms. Rong Yang witnessed the launch of this magnificent new watch. A modern classic reimagined, the Lvcea Tubogas watch is merging two of the symbols of Bvlgari – the classical style and delicate comfort. 38 pieces of Tubogas vintage watches, jewelry and modern timepieces were also exhibited in the launch event. 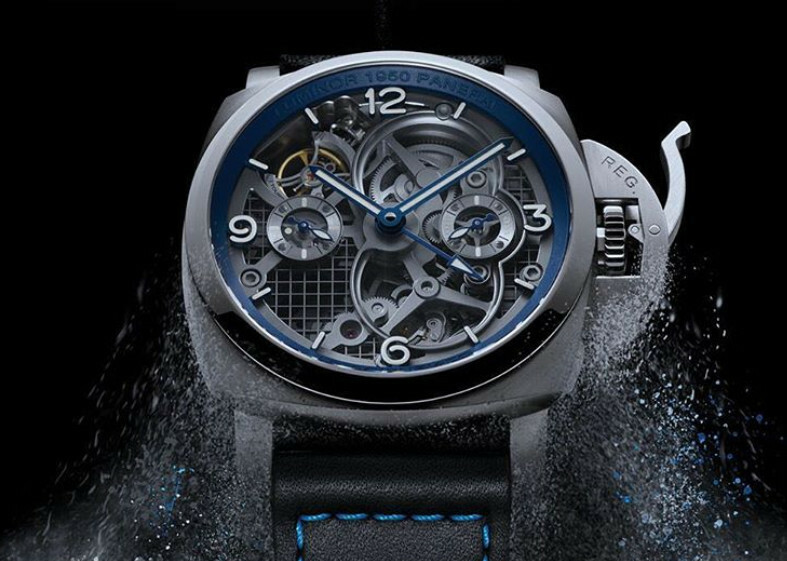 On 10 May, PANERAI held a SIHH Novelties Preview at IAPM Shanghai. New collection Luminor Due, 6 new timepieces from Luminor Base Logo collection, Lo Scienziato Luminor 1950 Tourbillon GMT Titanio and L’Atronomo Luminor 1950 Tourbillon Moon Phases Equation of Time GMT watch were presented at the preview event. On 11 May, PIAGET celebrated the Sunny Side of Life philosophy with an exclusive cocktail party at Minsheng Art Museum Beijing and brought the watch and jewelry novelties from Possession collection. Ms. Chabnam Nouri, CEO of PIAGET, Mr. Mathieu Delmas, CEO of PIAGET China, Mrs. Mi Yang, Fashion Ambassador of PIAGET and famous actor Mr. Ethan Juan attended the event. The event created a unique immersive summer adventure through ‘Sunny Side of Life’, exhibiting and magnifying the new PIAGET Possession collection to offer a never-ending flow of beautiful, solar, festive and surprising experiences. Led by Mrs. Mi Yang, a video themed “the Sunny Side of Life” were also launched at the celebration. 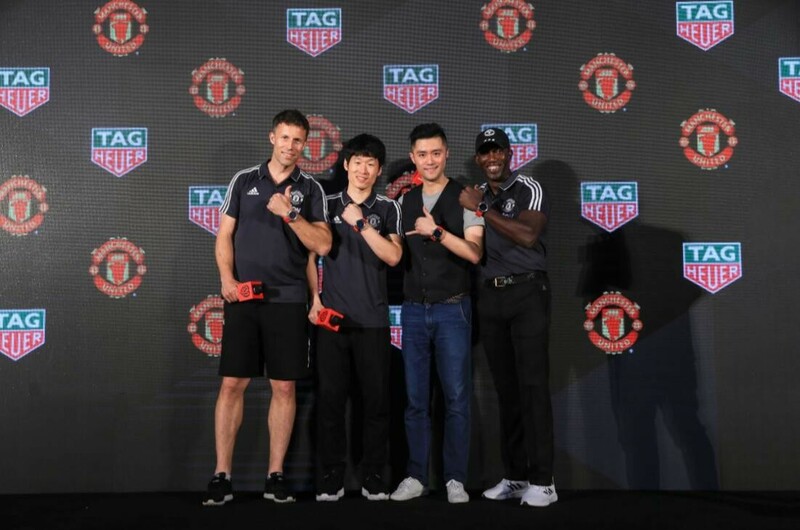 On 13th May, as the official timekeeper of Premier League and Manchester United, TAG Heuer especially joined the #ILOVEUNITED Manchester United Fans Event that was held at Jingyuan Art Centre Beijing. Mr. Dwight Yorke, the Ambassador of Manchester United, Mr. Park Ji-Sung, famous football player and Mr. Ronny Johnsen, the legendary football player attended the event. At the event, TAG Heuer launched the Connected Modular 45 Manchester United Special Edition to support the #allredallequal# campaign of Manchester United (To promote the equality, toleration and diversification of Football Clubs). Moreover, the 11 timepieces of Connected Modular 45 Manchester United Special Edition which were worn by Manchester United players at the pre-competition ceremony, will be auctioned off after the competition and all proceeds will go to Manchester United Foundation. On 17 May, HUBLOT held “HUBLOT Loves Art” exhibition as a part of the JINGART exhibition at Beijing Quanye Chang. 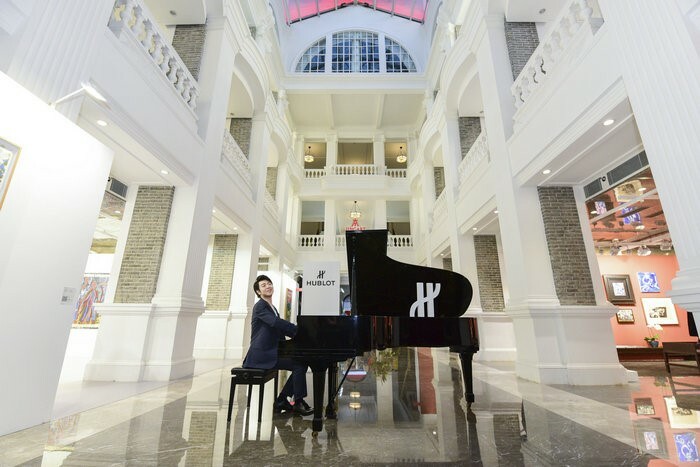 Mr. Lang Lang, the Brand Ambassador of HUBLOT attended the opening ceremony of JINGART exhibition and gave a piano performance to all the guests. The exhibition featured numbers of excellent artworks and timepieces, which included the work “Kong” presented by Mr. Richard Orlinski, the French Sculptor and the Brand Ambassador of HUBLOT; the music score of Chinese pianist Mr. Lang Lang; the geometrical concept work of Switzerland tattoo artist Mr. Maxime Buchi; the oil painting work of Chinese contemporary artist Mr. Minjun Yue, along with timepieces inspired by these artworks. On 18 May, just in time for the ”520” special love day, Tiffany & Co. unveiled its pop-up shop at Plaza 66, Shanghai. Ms. Ouyang Shaohua, the Vice President of Tiffany & Co. China, and Chinese celebrity couple Ms. Huo Siyan and Mr. Du Jiang attend the event. The shop was filled with chic customizable jewelry and accessories from the iconic jeweler’s signature Tiffany T and Return to Tiffany collections. This exhibition was divided into five parts：Love Rendezvous; Love Theater; Love Telephone; Hand Meets Hand and You And Me. The concept and design of the shop allows couples to try out various interactions in an interesting approach. 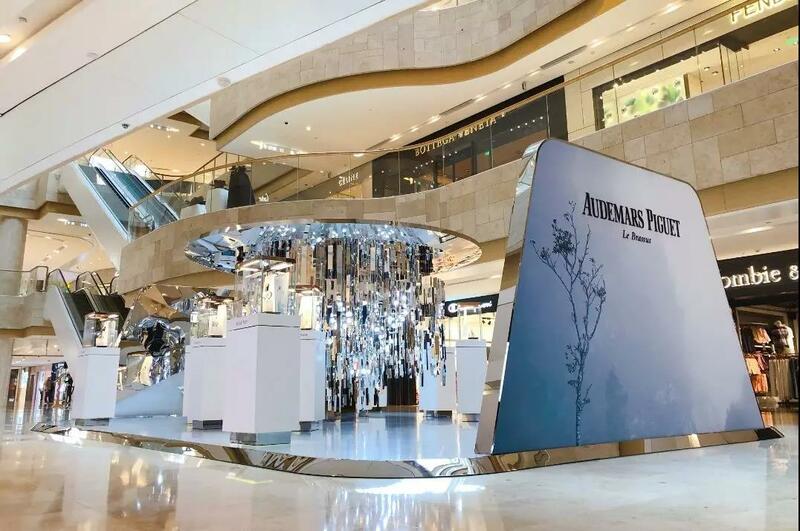 Lasted from 22 to 30 May, Audemars Piguet held an exhibition to present its new Royal Oak ladies’ watches at Deji Plaza, Nanjing. Featured gem-set bezels with sapphires or diamonds, a series of Royal Oak ladies’ novelties were expressed in yellow gold, pink gold and white gold, presenting a new interpretation of iconic Royal Oak in a smaller size. 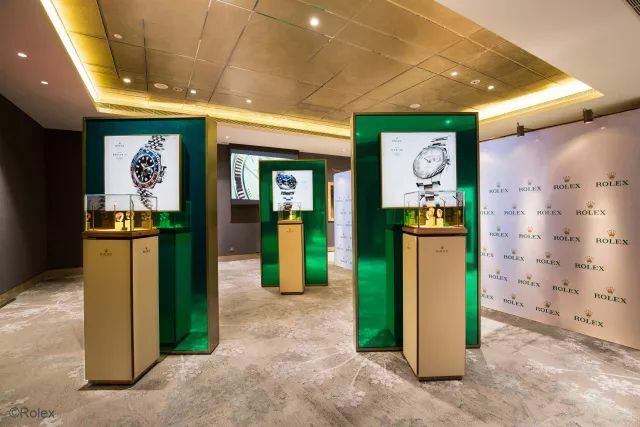 On 24 May, Jaquet Droz held two “THE STORY OF THE UNIQUE” BASELWORLD 2018 novelties preview at boutiques of The Malls At Oriental Plaza Beijing and APM Beijing. The One collection, Grande Seconde Moon collection and the Lady 8 Petite were presented at the preview events. 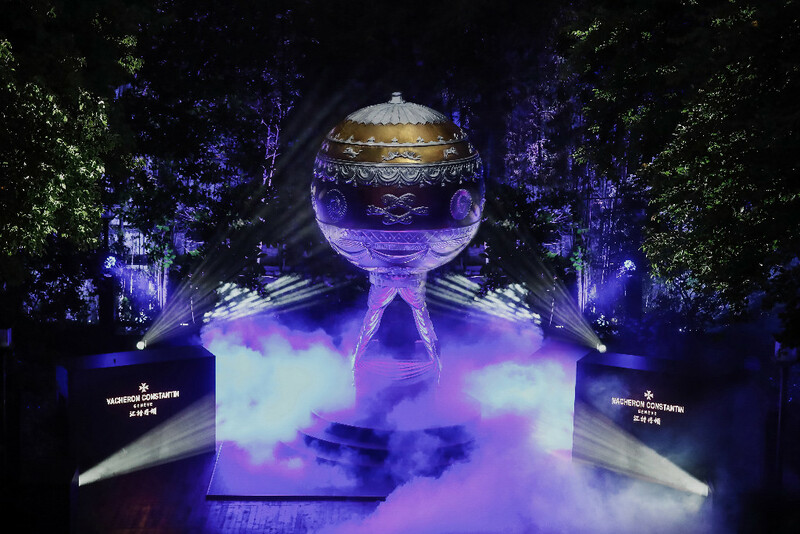 On 27 May, Vacheron Constantin presented a gala night to celebrate the 10th anniversary of its Shanghai Mansion. Mrs. Ellen Sorensen, Managing Director of Vacheron Constantin China, Mr. Christian Selmoni, Style and Heritage Director of Vacheron Constantin, Ms. Clemence Charrier, International Retail Director, Mr. Dominique Bernaz, Les Cabinotiers Clients Director and Mr. Pierre Liu, General Manager of Vacheron Constantin China attended the event. To celebrate this milestone, guests have been invited to discover delicate pieces from Métiers d’Art Les Aérostiers and one-of-a-kind masterpieces of Les Cabinotiers, which were introduced for the first time in China. On 31 May, BAUME & MERCIER held a SIHH Novelties Preview Luncheon at Park Hyatt Shanghai. Mr. Geoffroy Lefebvre, CEO of BAUME & MERCIER, Mr. Daniel Braillard, COO of BAUME & MERCIER and Mr. Keith Law, the Managing Director of BAUME & MERCIER China attended this luncheon. 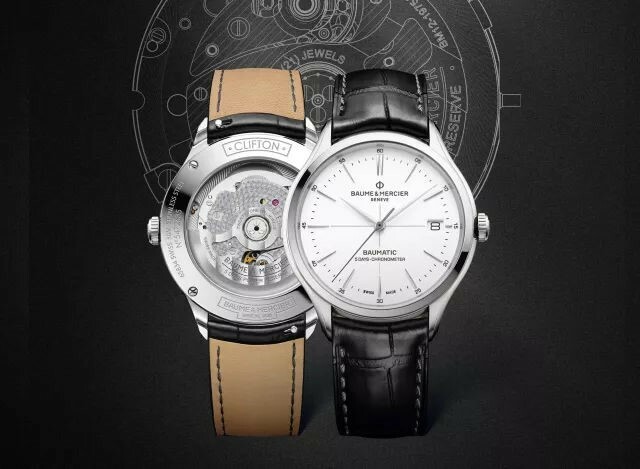 The new timepieces of Clifton Baumatic were presented at the preview event.